Your JK-SK child's Jewish Journey begins here! 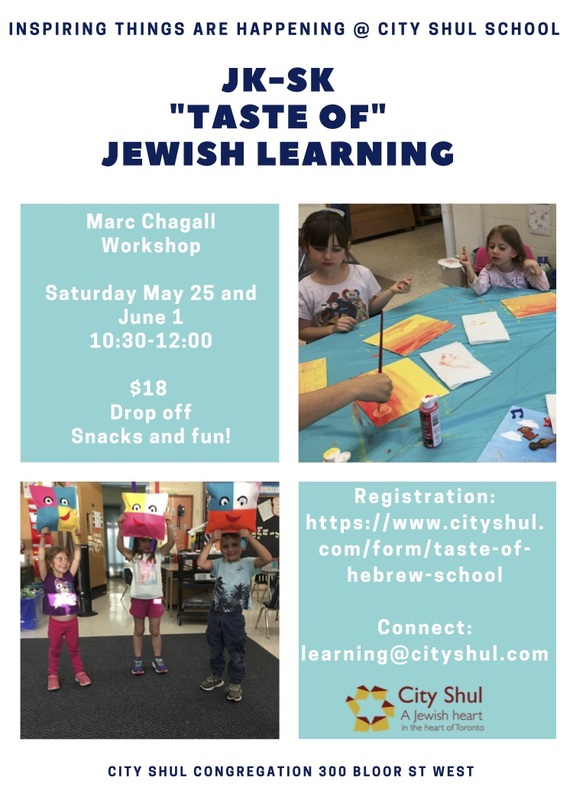 Join us for a "Taste of" Jewish Learning. Introducing City Shul's New "Prayground"! The Prayground is an area in our main sanctuary specifically set aside for young children (0-5) together with an adult during services. There are small tables and chairs, rugs, colouring sheets, crayons, blocks, PJ books, soft toys, and more. Tots can feel happy and at home during our service moving around, while their parent/grandparent can still feel they are "within" and enjoying the main service. Our Prayground is open every Shabbat morning service. We are excited to share this new space with our congregation!